Jukebox the Ghost's most recent album, "Safe Travels," is the band's third, and it showcases the outfit's penchant for quirky pop that falls somewhere in the Ben Folds spectrum. That might be an easy comparison, but the album is replete with enough piano riffs and sing-along hooks to sate even the most jaded consumers of pop music. The New York-via-Philadelphia trio is set to embark on a nearly 10-week-long tour that will send it to the West Coast and back again in support of "Safe Travels," which was released this past June. Brooklyn's Maps & Atlases — great performers in their own right — and local band The Demos both open the show. 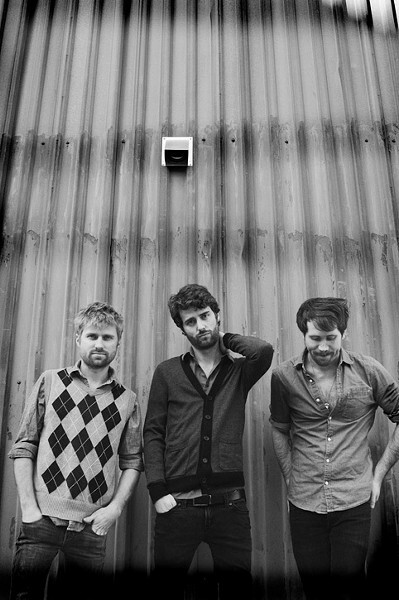 Jukebox the Ghost performs Sunday, September 16, 8 p.m. at Water Street Music Hall, 204 N. Water St. $12-$18. 325-5600, waterstreetmusic.com.